Food and drinks will be served. Following mass, food and fellowship will be shared in the church hall. Susan (McDonald) Boyer lived her life helping others. Her top priority was her family, as she was a loving wife, mother, daughter, and sister. 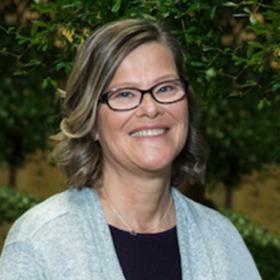 This desire to help others drove her to pursue a career in the medical profession, and Sue eventually worked as a radiation therapist for more than 23 years, devoting her career to helping and treating cancer patients. A self-professed tomboy, Sue cherished her childhood. 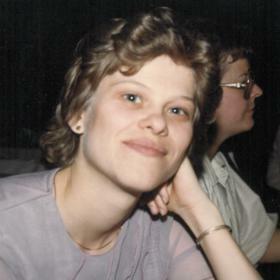 Sue was born on September 24, 1958, and she grew up on the McDonald Centennial Farm in Mount Pleasant, Michigan. 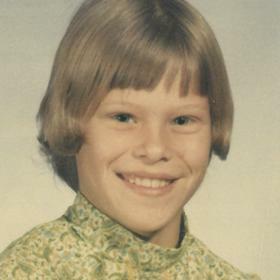 Although she had six siblings, Sue and her brother Gary were the two farmhands. 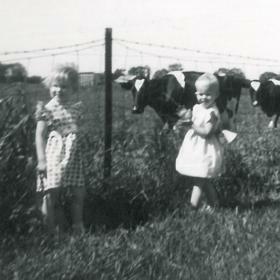 Sue’s responsibility was tending to the calves on the family’s dairy farm. The work ethic formed in her childhood remained throughout her life, and she was always willing and able to lend a helping hand. During her childhood, Sue participated in 4-H. Each summer revolved around showing a selected Holstein in the Isabella County Fair. Sue carefully selected and trained a cow to present to the judges during the first week of August. One of her mother’s worst days occured when a cow dragged Sue through the field behind their farmhouse. Fortunately, Sue survived the incident and continued to love her Holsteins! Sue was a proud graduate of the class of 1976 at Sacred Heart Academy in Mount Pleasant, Michigan.  She started attending SHA in second grade and was a faithful Catholic throughout her life. Sue had McDonald height, and she played basketball during high school. Sue then attended Ferris State College and received her degree as an X-ray technologist. After completing her internship at Butterworth Hospital in Grand Rapids, Michigan, Sue quickly secured a job at Bronson Methodist Hospital in Kalamazoo, Michigan. 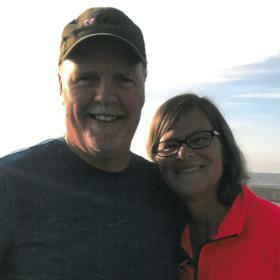 Sue was not only thankful for the experience of working full-time in a career that she loved, but working at Bronson Methodist Hospital also provided the opportunity to meet her future husband and the love of her life, Jim Boyer. Sue was an established technologist when Jim entered the department as an intern. Although Jim was eleven months younger, their love grew. Sue and Jim married on April 7, 1984, at Sue’s childhood parish, Sacred Heart Catholic Church. As young professionals, Sue and Jim worked hard to save money for their future. They were homeowners by the time their first child, Jacob Stephen, joined them on October 31, 1986. Since they were both required to work weekends, Sue and Jim relied on family and friends to care for Jacob occasionally. Always a planner, Sue was excited to welcome a second child to their happy family two years after Jacob’s birth. Genetics, on her mother’s side, had a different plan for the Boyer family. Identical twins joined the family on December 5, 1988, when Timothy John and Eric Charles entered the world. Although Sue was certainly busy working full-time and parenting three young sons, she still found time to volunteer and continue her education. Sue traveled to Lansing, Michigan, studied, and passed the radiation therapy test. She first participated in, and then was the secretary of the Mothers of Multiples club in Kalamazoo. When her sons started school, Sue was active in Mattawan Consolidated Schools in the parent association. When Jacob started participating in the Navy Sea Cadet program, Sue served as a volunteer assisting cadets. Her volunteerism continued as an adult, as she was personally selected to serve on the audit review board at Arbor Financial Credit Union. When Sue and Jim settled into their home in the newly established Autumn View neighborhood, Sue quickly was recruited to be on the neighborhood board. A lifelong sun-lover, Sue enjoyed her time relaxing by her family’s pool. Jim built the family’s second home in Mattawan in 1990. Sue consistently welcomed family and friends to join them and relax by their pool. This love of the sun also dictated their vacation plans. Together as a family, the Boyers traveled to Mexico and the Caribbean several times. The memories gained during their travels bring joy to the family. Sue and Jim also supervised the construction of their final home in Kalamazoo. They looked forward to welcoming family and friends to this home through their golden years. Sadly, this dream was not realized, as Sue was diagnosed with stage four pancreatic cancer on October 17, 2017. Sue Boyer of Kalamazoo, Michigan, died on February 26, 2018 at age 59 after a valiant battle with cancer. She passed away surrounded by loved ones. Sue is survived by her husband, Jim; and their three sons: Jacob of Norfolk, Virginia, Tim, and Eric (fiancée Rachel McGaw) all of Kalamazoo. She is also survived by her mother, Leona McDonald of Mount Pleasant; and her six siblings including four sisters: Ann (George) Media of Battle Creek, Karen (Robert) Prater of Vicksburg, Mary (Zbigniew) Srodulski of Richland and Linda (Michael) McDonald of Bay Village, Ohio; and two brothers: Gary McDonald of Mount Pleasant and Dan McDonald of Royal Oak; along with many nieces and nephews. Sue was preceded in death by her father, John McDonald; a nephew, Ryan McDonald; mother and father in-law, Charles and Jean Boyer; and many relatives on both sides of their loving families. Visit with friends and family while sharing food and drinks on Friday (Mar. 2) from 5-8 PM at the Betzler Life Story Funeral Homes, 6080 Stadium Drive; Kalamazoo (269) 375-2900, where a time of sharing will take place at 7:30 PM that evening. Mass of Christian Burial will be celebrated at 11 AM on Saturday (Mar. 3) at St. John Bosco Parish, 23830 Front Avenue; Mattawan. 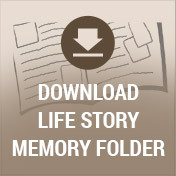 Please visit Sue’s personal memory page at www.BetzlerFuneralHome.com where you can read her Life Story, archive a favorite memory or photo and sign her online guestbook. Memorial contributions may be made to DC Strong, Mount Pleasant Sacred Heart Foundation, or Hospice Care of Southwest Michigan.